The book is essential reading for all those working in industry groups involved in combustion systems, fuels, fuel and air systems, engine design options, engine control, after–treatment, vehicle and machine systems, emission measurement techniques, and legislation trends. 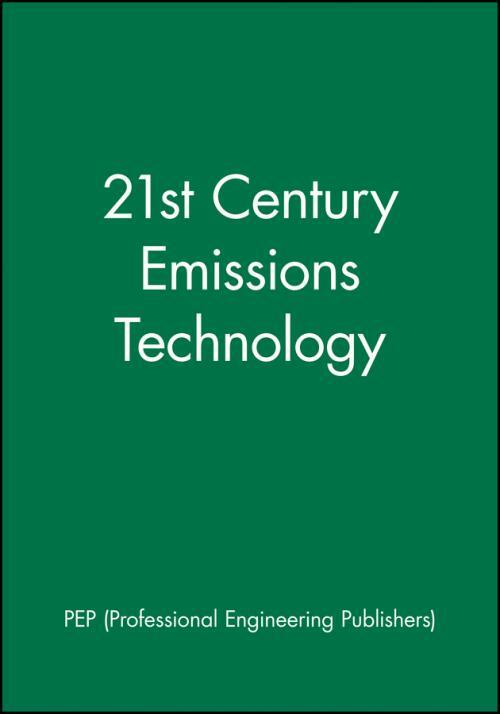 Emission catalyst technology challenges and opportunities in the 21st century. Cost implications of various Euro 4 and 5 after–treatment solutions for heavy duty diesel vehicles. DETR/SMMT/CONCAWE particle research programme effects of particulate traps on particle size, number, and mass emissions from light and heavy duty diesel engines. 21st century§ emissions control technology hybrid power train systems. Emissions results§ from port injection and direct injection bi–fuel (gasoline and compressed natural gas) engines. Injection natural gas engine for light–duty applications. Gasoline controlled auto–ignition (CAITM) potential and prospects for the future automotive application). Experimental studies on controlled auto–ignition (CAI) combustion in a 4–stroke gasoline engine. 4–stroke active combustion (controlled auto–ignition) investigations using a single cylinder engine with Lotus active valve train (AVT). Chemistry limits on minimum in–cylinder NOx production for internal combustion engines. Air flow and fuel spray characterization diagnostics for the 21st century engines. Fuelling of a compression ignition engine on DME preliminary results. The measurement of a particle number emissions from diesel engines – a fuel perspective. Evaporative emissions systems requirements, performance, and control.